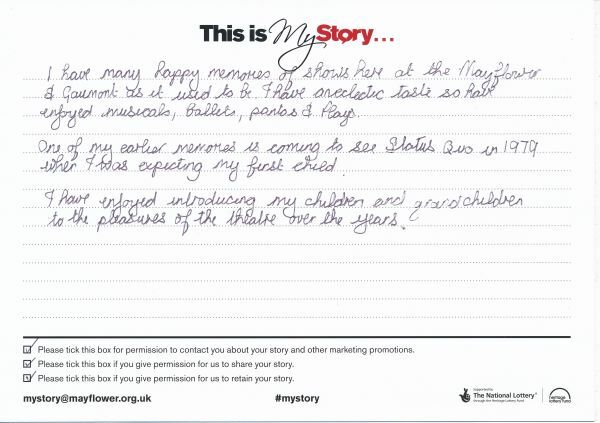 My Story Card: Maxine Player recalls seeing Status Quo and other performances. I have many happy memories of shows here at the Mayflower & Gaumont as it used to be. I have [BLANK] taste so have enjoyed musicals, ballets, pantos and plays. One of my earlier memories is coming to see Status Quo in 1979 when I was expecting my first child. I have enjoyed introducing my children and grandchildren to the pleasures of the theatre over the years.